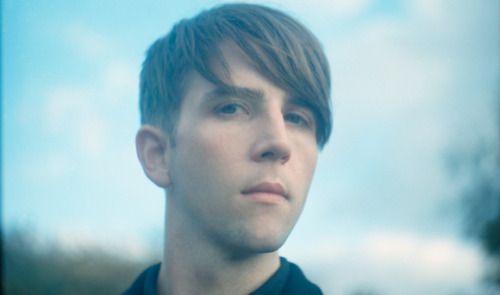 Owen Pallett has long been known as both a virtuoso violinist - capitalizing on all that SooperLooper has to offer to more than fill a stage with just his violin - and a frequent collaborator with the likes of Arcade Fire and the Mountain Goats. An accomplished composer, Pallett added Oscar nominee to his resume at the last Academy Awards, as his collaboration with Will Butler (brother of Arcade Fire’s Win Butler) on the music for Spike Jonze’s award-winning 2013 film, Her, was nominated for Best Original Score. Despite his undeniable success, Pallett has expressed feelings of anxiety and a general uneasiness with his relative invisibilty while on Arcade Fire’s Reflektor tour. In a recent interview with the National Post, he explained, “You wouldn’t even believe the weird self-involved stuff that my brain goes through. Like when I’m playing (with Arcade Fire) and I can see the screen on the side of the stage and I think, ‘I’m never going to be on that screen…’ But then there’s a part of me which goes, ‘man, I could be just playing with my friends and be the centre of attention.’” And with his new album, In Conflict, he is just that, claiming center stage for himself. In fact, the album is surprisingly personal, putting Pallett’s life on display for the listener. But despite a shift in lyrical content, looped violin remains the backbone of Pallett’s art rock/modern classical/pop sound. Because he shapes multilayered soundscapes from scratch during live performances, he really does remain in the spotlight; his one-man string section giving the illusion that he fills the entire room.